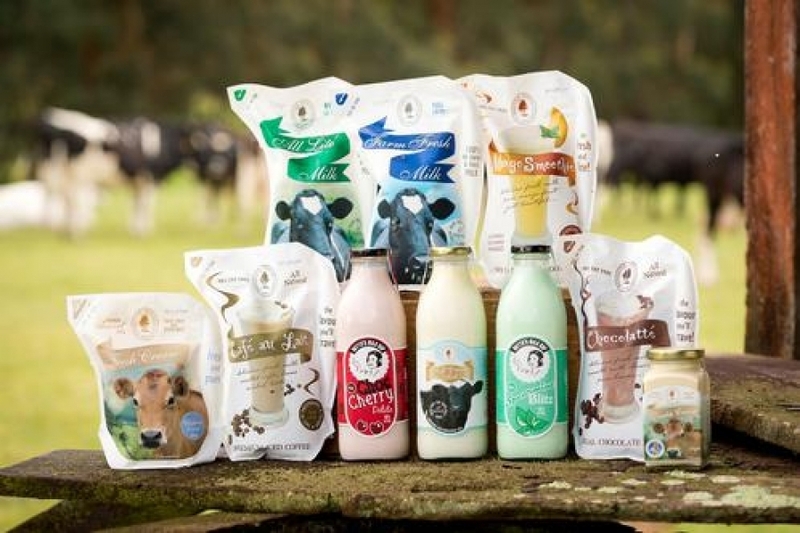 Bannister Downs Dairy 1924 supplying WA Families with farm fresh milk as pure as nature intended and are one of few processors in Australia using traditional low temperature processing methods in order to achieve a wonderful milk flavour. Bannister Downs Dairy look to avoid things like colours, preservatives, stabilisers, thickeners, gelatine or any other additive whatsoever. Bannister Downs Dairy love farming and strive to build a strong legacy of ethical milking, sustainable farming and best practice animal welfare. 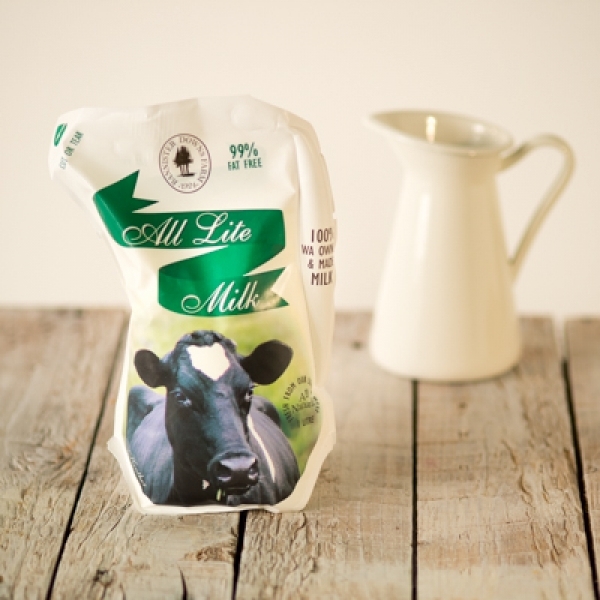 Carefully researched the compromise between fat content and flavour when formulating our All Lite Milk. Having only 0.99% fat certainly makes Bannister Downs All Lite milk suitable for the diet conscious and those on a limited fat intake. Our All Lite Milk is processed identically to our Farm Fresh Milk, only that a portion of cream is removed at the separation stage. No other nutritious milk solids are taken from out, and you will notice it has a wonderful flavour not normally associated with Low Fat Milk. Freshly blended Mango Smoothie, made using only orchard grown, Australian Mangoes combines perfectly with our premium farm fresh milk to create a delicious flavoured milk. Of course all the ingredients are natural so you can enjoy a 99% fat free treat, perfect for a get up and go breakfast in hurry. Café Au Lait is a blend of aromatic Yahava roasted coffee beans and premium farm fresh milk is a treat for the taste buds. Smooth, creamy chocolate milk made using the highest grade Dutch cocoa and blended with Bannister Downs Dairy milk. Betty has always loved her Cherry Ripe chocolates and was terribly excited to find the same flavour in a refreshing, low fat milk drink. Go ahead and satisfy your chocolate craving with this delicious new take on an old favourite! Betty always craves this special spearmint milk drink. Best served well chilled, Spearmint Blitz is the perfect way to refresh yourself. Step back in time and enjoy the delicious flavour of spearmint in low fat fresh milk. 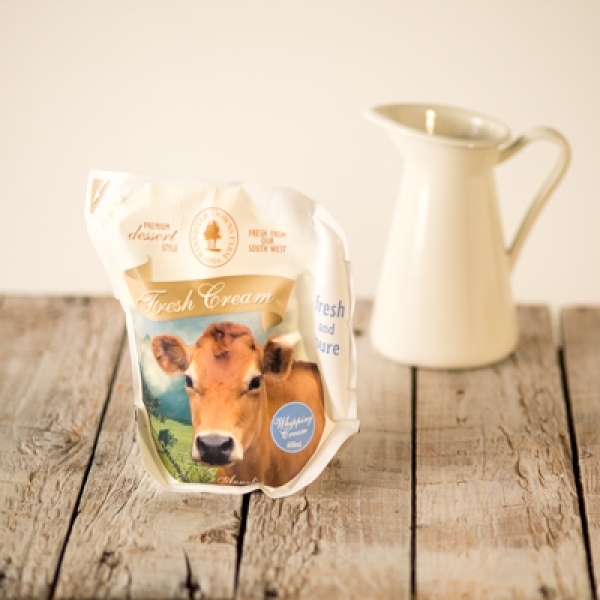 Fresh cream is available in our signature eco-friendly 600ml pouch. Bannister Downs Dairy traditional whipping (pouring) cream is made from premium quality fresh milk. This cream whips exquisitely or pours beautifully - the ultimate dessert cream! Award winning Double Cream in its beautiful glass jar guarantees to impress even the fussiest cream connoisseur. Known as a premium dessert cream it has a luxurious thickness, smooth texture and rich creamy flavour. 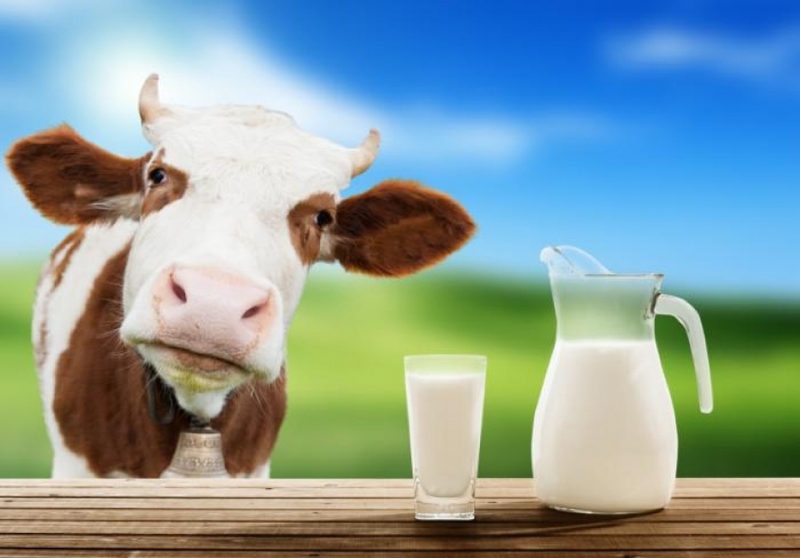 Homogenised milk has been processed through a very fine channel at a high pressure to redistribute the creamy layers into smaller particles that stay suspended in the milk throughout the milk, whereas non-homogenised milk hasn't been through this process. This means that the cream sits on the top of the milk in the bottle, in a delicious thick and creamy layer, just like traditional milk. 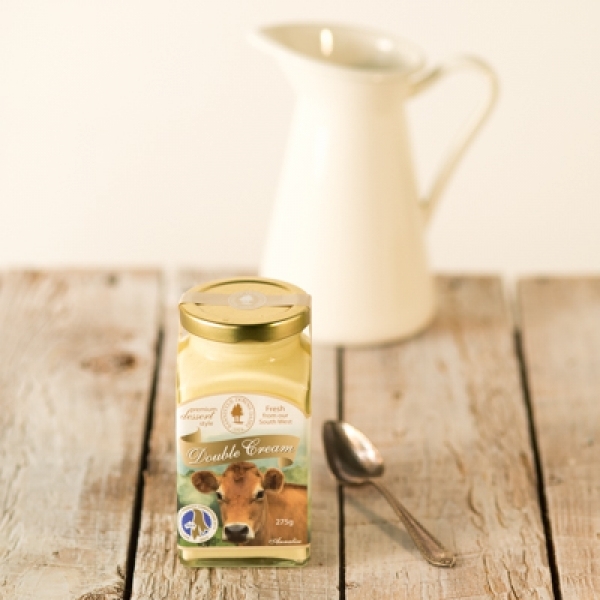 Enjoy the flavour of our Full Cream Milk fresh from lovely cows, non-homogenised and exactly as nature intended.